Have you been looking for ways to cut down on waste in your home? 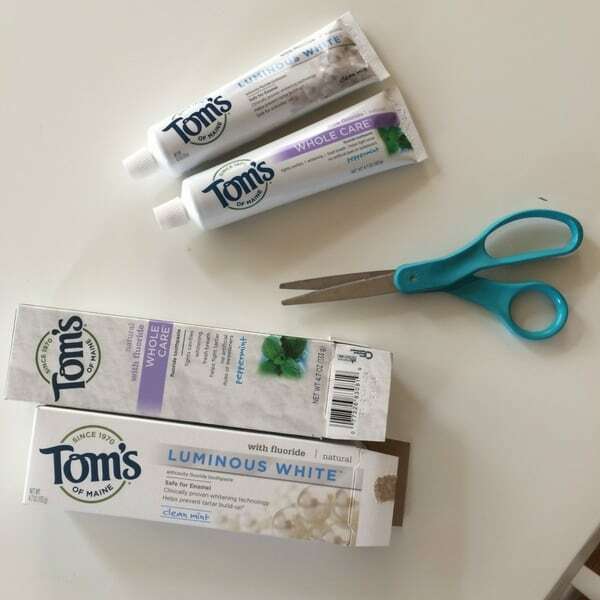 During Earth Month, many of us start to re-think the way we run our households, and we look for less wasteful alternatives. 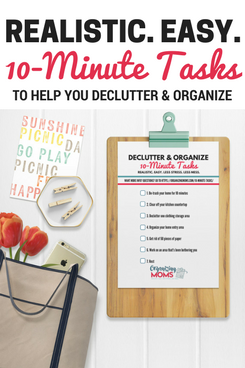 Especially if you’re in the midst of spring cleaning and decluttering your home, the amount of waste your household produces can become painfully obvious. One way our family tries to lessen our impact on the planet is by using products with no artificial colors, flavors, fragrances or preservatives, that are not tested on animals. It can be challenging to find products that meet all of those requirements! 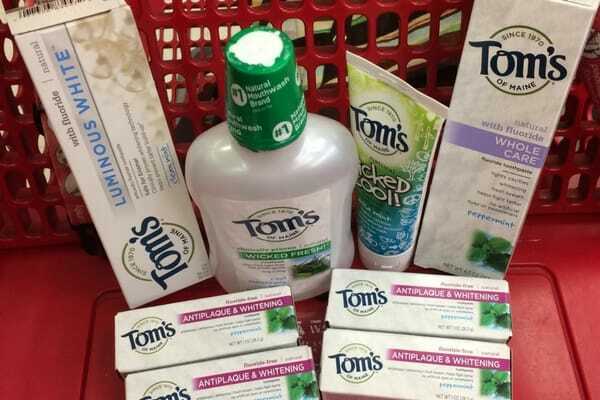 One of the best things about Tom’s of Maine is that you can find their products at Target! No need to scour the internet to find what you need. I recently took a trip to Target to stock up on some of our favorite Tom’s of Maine products. 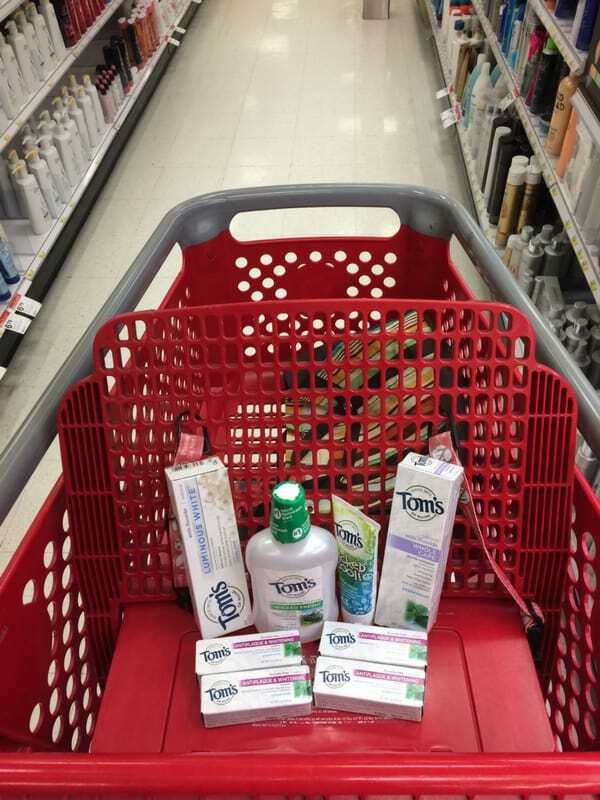 Target had a 10 percent discount Cartwheel offer for several of their products, including the Tom’s of Maine Toddler Value pack, which is a Target exclusive. While I was there, I snagged a few of our family favorites. 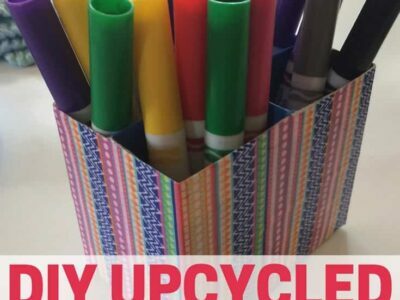 As I was shopping, I was inspired to upcycle the product packaging into a new organizer! Several of the toothpaste tubes we bought came in cardboard boxes, so I used them to make a marker organizer for our kiddos. 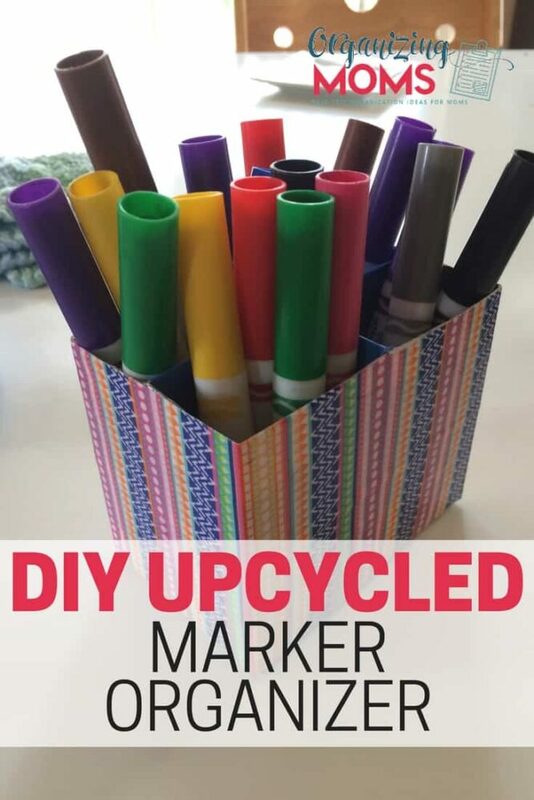 We’ve been keeping the markers in an old shoebox filled with markers, crayons, and other craft supplies for a while now. 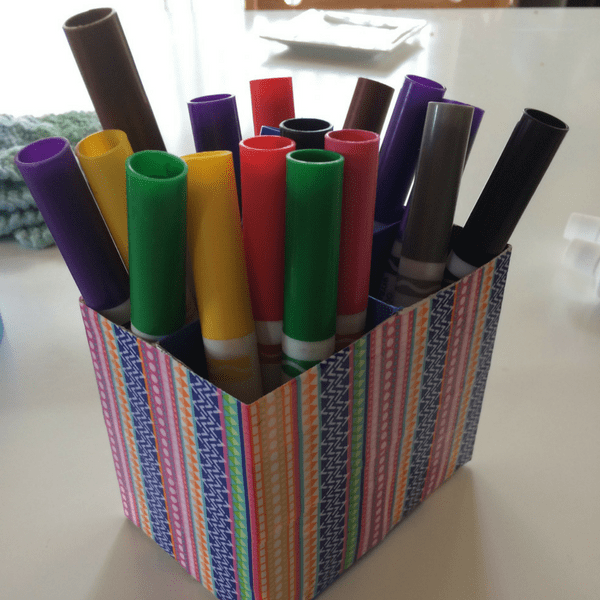 Since markers are a favorite in our house, I made the markers their own organizer. 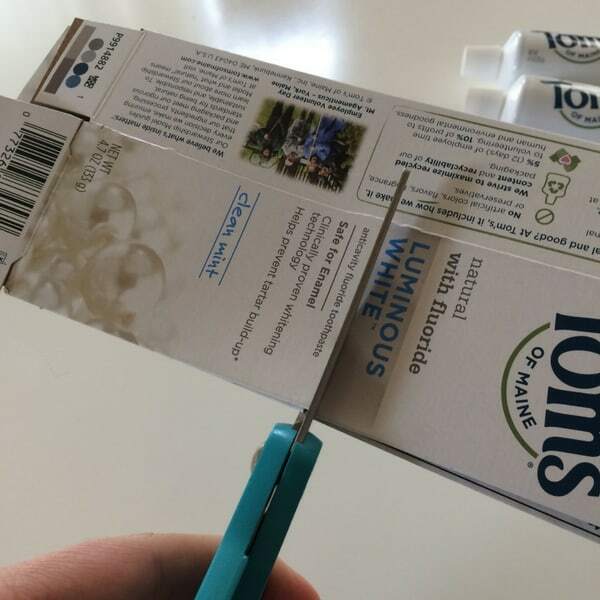 First, I cut two toothpaste boxes in half. Then, I put the boxes back together, and taped them together using some painter’s tape I had on hand. 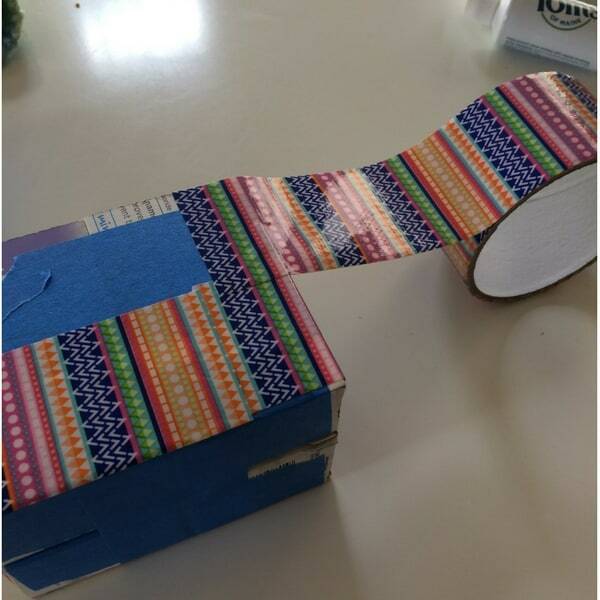 Once the boxes were held together snugly, I used some pretty tape I’ve had around for a long time. I was hoping I’d be able to use it up with this project! 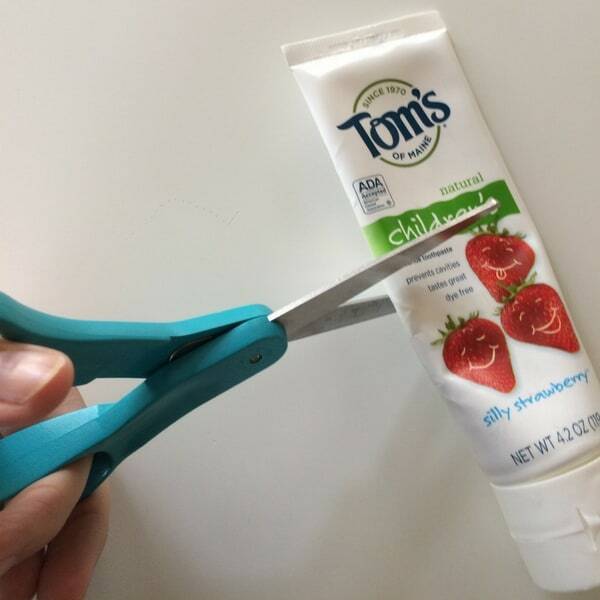 The Tom’s of Maine toothpaste tubes are recyclable through Terracycle, but I decided to use one of our old toothpaste tubes to make a funnel. 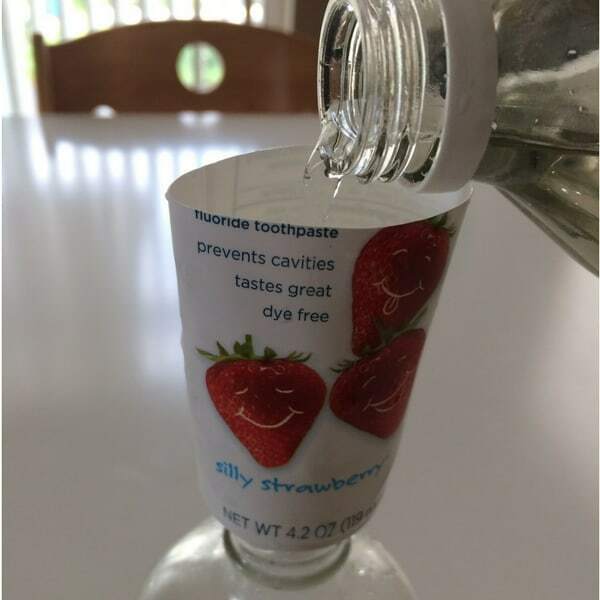 Lately I’ve been making a lot of homemade cleaning products, and this toothpaste tube fit perfectly in my spray bottle as a funnel. Now I won’t waste as many ingredients by spilling when I’m trying to mix cleaning solutions! Interested in taking part in the Less Waste Challenge? Use the hashtag #lesswastechallenge on social media, and show us your less waste ideas!